100 Union Street in Southwark is one of the most experimental and well loved urban sites in London: it has hosted the Southwark Lido, the Union Street Urban Orchard and the Urban Physic Garden. Thank you for the unforgettable Southwark Lido and for the inspiration, imagination and hard work which went into creating it. I loved it and the space you are about to leave will always have special memories for me even when, at some future date, it is occupied by a new building. The Southwark Lido was a temporary lido created by acclaimed French architecture collective EXYZT and Sara Muzio, curated by The Architecture Foundation as part of the London Festival of Architecture 2008. Following in the tradition of Roman baths and Turkish hammams, which provided a setting for social gathering, ritual cleansing and uninhibited political discussions, the Southwark Lido hosted a variety of activities in an unusual environment. Within a futuristic low-tech complex, visitors of all ages enjoyed the refreshing spray of the water deck, or sweated it out in a sauna; there was a paddling pool for children, and beach huts doubled up as changing rooms and living pods for the collective. A mobile garden added colour amongst the beach pebbles, and, at the end of the installation, was distributed throughout the neighbourhood by local community organisation Bankside Open Spaces Trust. The Southwark Lido expressed EXYZT’s strategy of urban renewal, based on the idea that a community of users actively creating and inhabiting their urban environment is key to generating a vibrant city. It explored the potential of using a site in transition – from empty lot to new residential and office buildings – to create a vibrant point of community and cultural engagement during its transformation. The Union Street Urban Orchard transformed the derelict site on Union Street into a thriving pop-up orchard of 85 fruit trees and countless wayward plants, built by hundreds of volunteers out of entirely recycled materials. Central to the design of the orchard was a plant exchange: people contributed hundreds of plants from their homes to creating an ever-evolving garden that was truly built by the community. 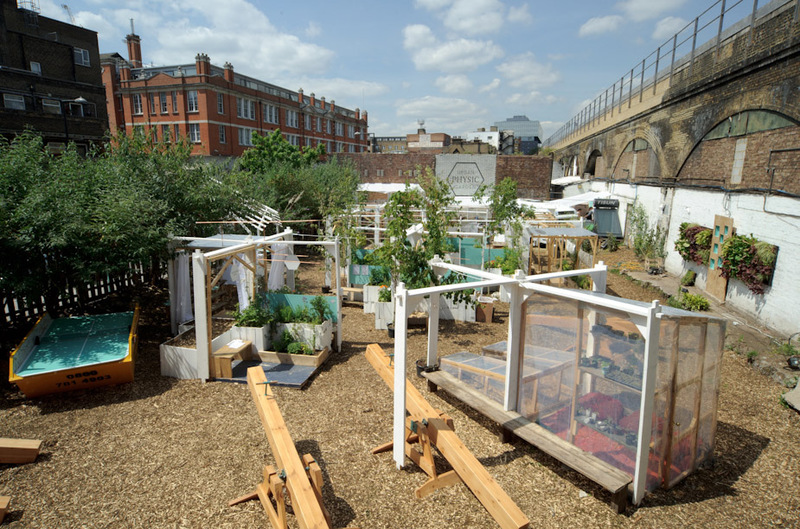 The orchard was commissioned for the London Festival of Architecture 2010 by The Architecture Foundation and designed by the award-winning landscape practice Wayward Plants – a collective of artists, designers and urban growers – and built in partnership with Living Ark and Bankside Open Spaces Trust. After one fruit harvest, the orchard was dismantled and 85 fruit trees were distributed to housing estates and local communityspaces, seeding new orchards and creating a lasting legacy for the project. In 2011, Wayward Plants returned to Southwark to create the Urban Physic Garden: a pop-up garden shaped by the hospital and pharmacy, with a focus on medicinal plants and herbs that heal. The project brought together nearly 200 volunteers and hosted more than 100 events, from community workshops to high‐profile performances and talks. 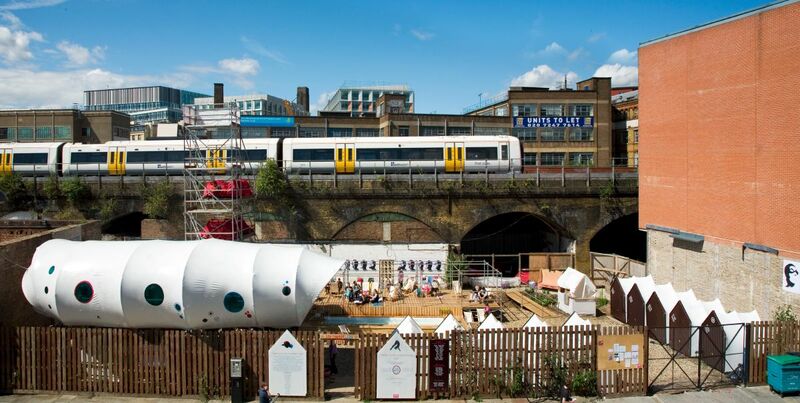 It also hosted a number of high-profile artist commissions and projects, including the UK premiere of the play-structures designed by the Serbian collective Skart (previously shown at the 2010 Venice Architecture Biennale) and a cafe in a decommissioned ambulance by the pop-up supperclub, Rambling Restaurant. 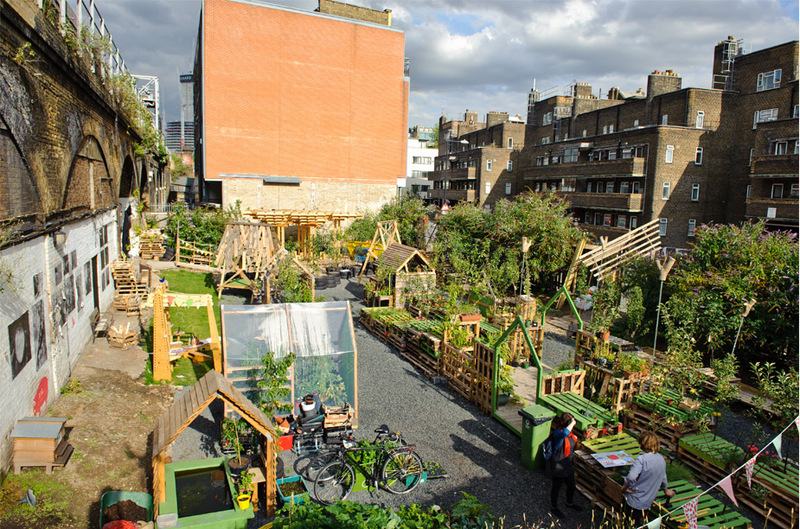 Monocle Magazine featured the Urban Physic Garden in their profile of the “Best Urban Farming Projects” and Icon Magazine included it in their annual highlights. The garden provided a platform for artists, designers, gardeners and health practitioners from a diverse range of backgrounds and cultures to explore the role of plants in science, health, well-being and the environment. Currently, the garden is touring Thailand and Vietnam at the invitation of the British Council.